Note: The four below all bloom brightly and can withstand the Texas heat. Don’t dump your coffee grounds or the rest that’s in the kettle! Did you know that coffee grounds contain an enormous amount of nitrogen for plants? Simply sprinkle used grounds over your lawn, tree roots and house plants. You’ll be amazed at how wilting and weak plants bounce back after a few sprinkles of morning jo. 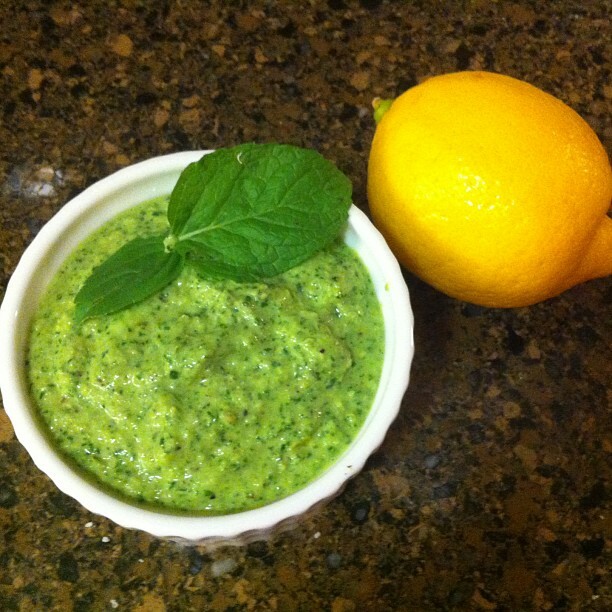 Home-garden grown lemon basil pesto sauce. Just look at your final product! Cypress Lawn provides landscaping services in the Houston area by a staff with a combined, 30 years of experience. Contact them if you’d like to request more of their services.